I love a basic white tee. I’ve amassed so many over the years, and thought it’d be fun to spice it up a little bit. 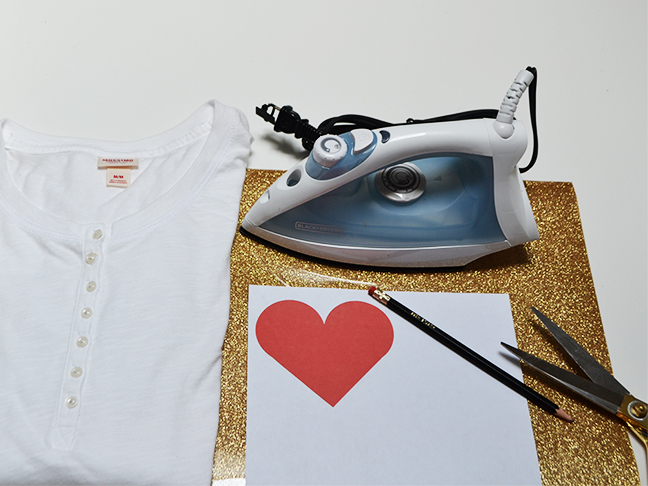 Using a $5 tee from Target and some iron-on paper, it’s easy to add some instant sparkle to any plain shirt. It takes only five minutes! 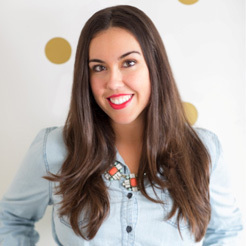 Consider different shapes for subtle nods to holidays (shamrocks for St. Patrick’s Day?) too. The possibilities for these elbow patches are endless. 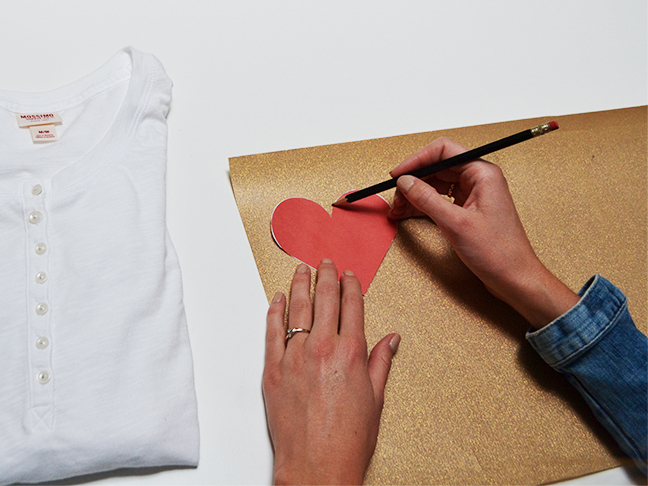 Step 1: Print out a heart shaped stencil off your computer and trace the shape twice onto the glitter heat transfer paper. 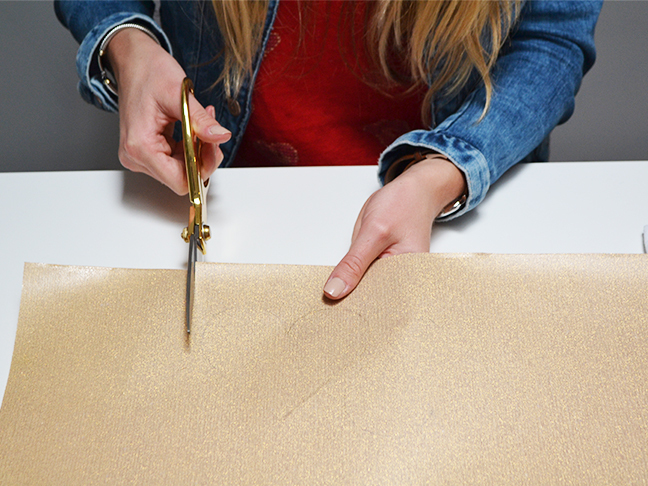 Step 2: Cut out the hearts. 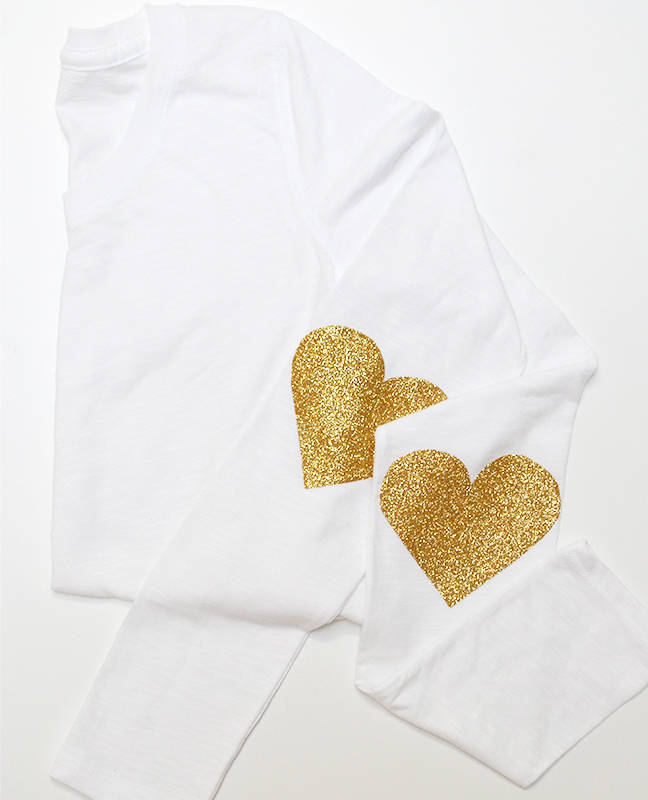 Step 3: Remove the adhesive backing and place the hearts onto the elbows of your long-sleeve. 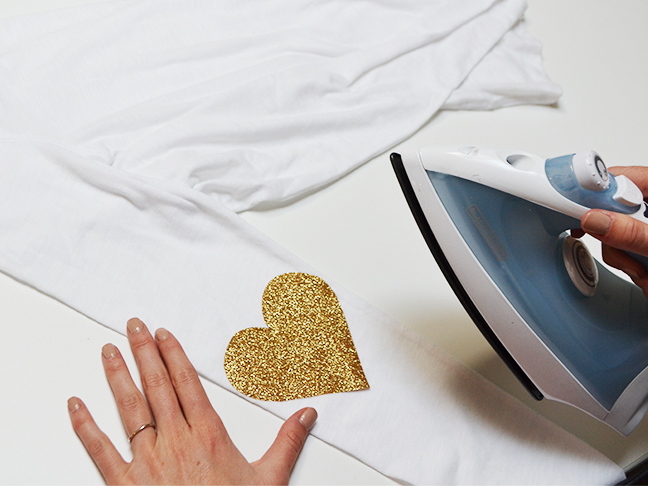 Step 4: Iron over the heat transfer a couple times until it has fully adhered to the shirt.